A country with the largest number of skyscrapers in the world also has a custom of gifting flowers on special occasions like Birthdays, Anniversaries and Love or Romance. Thanks to its rich history, sending flowers has become a habit never to be missed. Gifting a subtle bouquet will serve a good gesture for various popular festivals like the Chinese New Year and Christmas. Flowers & Gifts are always received with pleasure. Avoid giving clocks and shoes to anyone in this country. Also careful attention is paid to the wrapping, as the first impression given is very important. The more elaborate the wrapping, the better. Gifts wrapped in Red (considered a lucky color) and Gold paper denote luck, whereas Blue or Black wrapping have sour connotations. Sweets, fruits, Chocolates, Flowers and alcoholic spirits makes a good gift. Do not give gifts that add up to 4 in numbers. 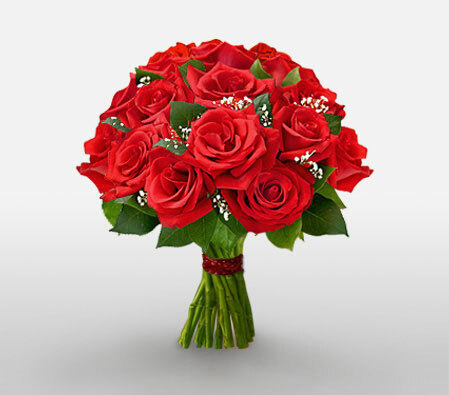 Send flowers same day to Hong Kong using our local florists & flower shops. Order by 12 noon. Send Mother's Day Pink Roses, Lilies, Carnations & Special Gifts to Hong Kong. Send Roses, Carnations, Lilies throughout Hong Kong for occasions like Birthdays, Anniversaries, Funerals, etc. Enjoy affordable flower delivery across Kowloon, Tsuen Wan, Causeway Bay, Happy Valley & nationwide delivery. How do i send International Flower Delivery to Hong Kong? 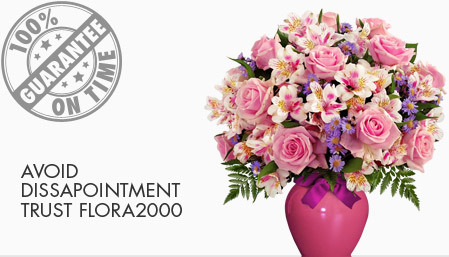 Flora2000 has transformed International flower delivery to Hong Kong into a fine and effortless art. With our efficient flowers & gifs delivery services worldwide; you are sure to find the perfect expression of your message to your loved ones. Be it Roses, Lilies, Carnations or Cakes, our gifts are sure to make both the sender and the receiver happy. We make sure the gifts you give reflects what you feel about the receiver. When it comes to exchanging gifts in Hong Kong, it generally showcases east meets west tradition. Be a bit careful while gifting to a Chinese friend and make sure you don’t gift him/her shoes or clock. It’s a big no as a gift. Flowers are always appreciated as a present. Gifts wrapped in gold or red color paper and use black or blue ink to convey your message on the gift card. Handpicked Unique Gift Ideas for Mom. Fresh Roses, Lilies, Carnation & Gift Hampers specially crafted for your mum. Order NOW for guaranteed delivery on Mother’s day in Hong kong.